Undoubtedly, this is the most disproportionate cruise in the world. A tour of 4 months in which 32 countries are visited on 6 continents and with a price of 25000 dollars per ticket. Even more travelers could tire and need a technical stopover at home, to recover from such a long journey. Would you like to do this tour? Many will have made longer trips, given around the world or taken a sabbatical year to travel the world, but this cruise makes everything followed, without giving you the possibility to stay where you are comfortable or go if you do not like a place, like when we travel on our own. Here we find a trip in the same cabin of a boat, which will be our home continuously for four months, yes, and our floating hotel will dock in many interesting points. 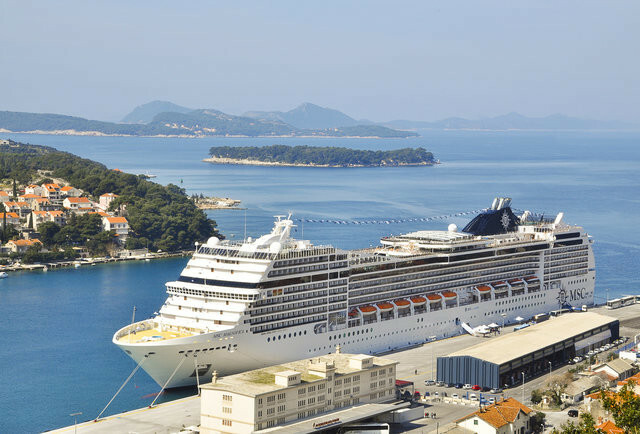 According to MSC Cruises, the cruise will depart on January 5, 2019 from the port of Genoa, Italy, and will return to the same point after a 119-day tour that will practically tour the world. 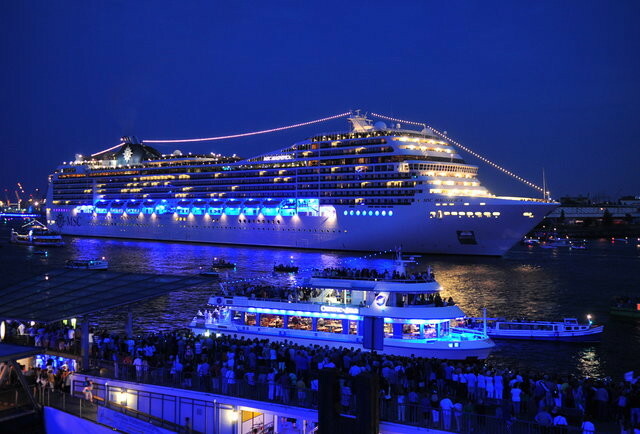 The boat will be the largest, luxurious and modern boat existing and will have numerous bars, restaurants, casino, disco and 4D cinema, as well as other points of interest. For example, for smokers will have a specific room so they do not have to endure so much time of absenteeism. During your tour, you will initially travel to Marseille in France, will arrive in Spain where it will stop in Barcelona and Malaga, and from there he will go to Funchal in Madeira (Portugal). It will then cross the Atlantic to make stops at Caribbean Sea destinations such as San Martin, the US Virgin Islands, Puerto Rico, Aruba, and others to cross the Pacific through the Panama Canal. In the Pacific, you will spend a few days in California visiting Los Angeles and San Francisco to go to Honolulu, Bora Bora Moorea and Papeete in French Polynesia, Auckland in New Zealand, and Sydney in Australia, then across Asia, crossing the Suez Canal to return to Europe. Considering the consideration of the sixth continent of New Zealand as part of Zealandia, it will have visited six continents since on the return journey to Italy; it also has stopovers planned in Africa and Asia, following those mentioned in Europe, America, Oceania and Zealandia. The trip price also includes 15 of the 229 tours that can be done. Among the 15 free visits are the visit to the Pinnawela orphanage in Sri Lanka, which we talked about a long time ago, and another 14, such as taking a bath in the crystal clear waters of the lagoons of Moorea, travel the national parks of the journey among others, According to the press release. No doubt such a huge cruise with such a long journey and a duration of four months will not be available to many, not only for the price, but for availability, but it is also true that it will be a great opportunity to travel the world for those who want to experience that experience in an organized way rather than as an adventure or on their own. From my personal experience, a cruise of more than a week becomes long, and it costs to find how to fill the dead times. Four months seems like a lot of time, but sure that counting on Social Networks, writing a travel diary and carrying a camera, would have much to do and to count. However, the tickets are running out and there are only those that cost from 25000 dollars, and from there up. Of course, if you invited me to make this trip, what it would cost me most is to make the decision to go or not to go for four months without seeing my family. What do you think about it? Be the first to comment on "The largest cruise in the world: 4 months, 32 countries on 6 continents and 25000 dollars per ticket"